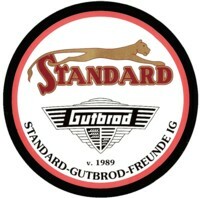 Technik Standard Motorräder » Standard 350 Touren ????? I am the owner of a nice Standard motorcycle. Depending on the number of chassis (43072) is a 350 Touren. The problem is that it should be a rare model because I can not find any photos, nor catalogs, nor advertising for that model to compare and to know which parts are original and which do not. Perhaps some of you can help me to identify the exact model. We herewith attach a pair photos. mi espanol no es muy bien i asi yo escribo en inglese tambien! It really looks like a 350 Touren! The headlamp might not be original, but it seems to be out of the 30`s! I have a test out of a motorcycle paper for you, its in german but maybe the pictures are helpful to you!